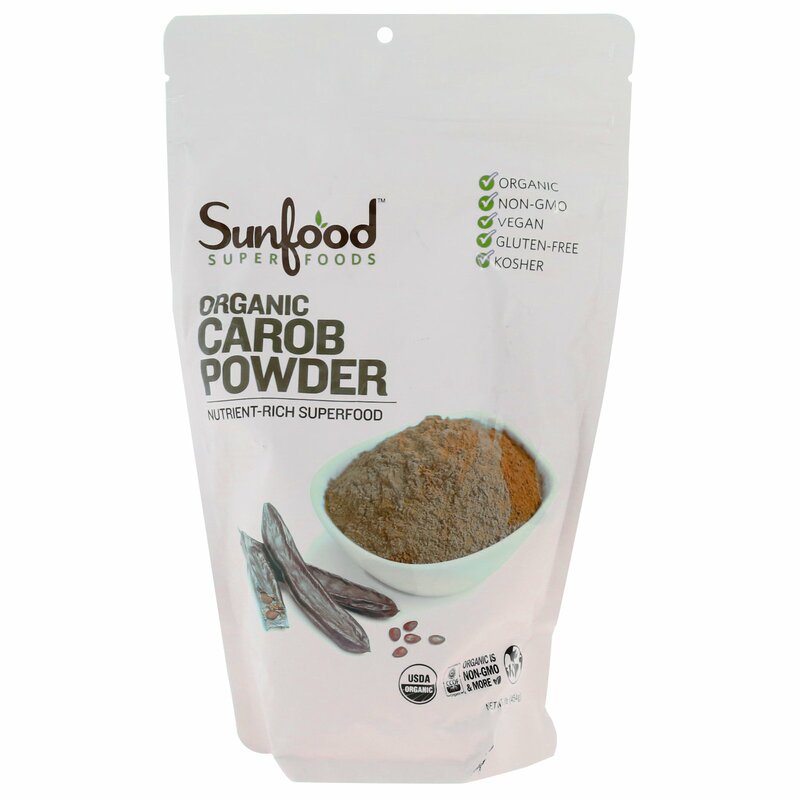 Carob powder is made from the long bean-like pods of the carob tree, a flowering evergreen shrub with native roots to the Mediterranean. Used as a replacement for cacao or cocoa, carob has a naturally sweet taste, without the stimulants typically found in chocolate. Besides being delicious, carob is high in fiber, a good source of calcium, and has B vitamins, potassium and iron - just a few healthy reasons to use carob in your favorite sweet recipe! 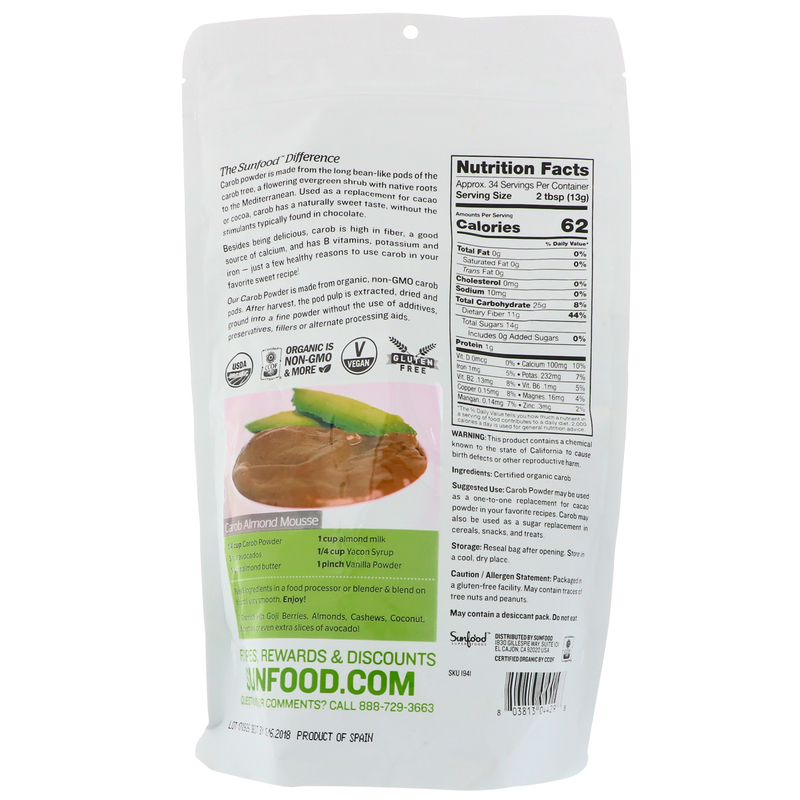 Our Carob Powder is made from organic, non-GMO carob pods. After harvest, the pod pulp is extracted, dried and ground into a fine powder without the use of additives, preservatives, fillers or alternate processing aids. Carob powder may be used as a one-to-one replacement for cacao powder in your favorite recipes, smoothies or desserts. Carob may also be used as a sugar replacement in cereals, snacks, and treats. Allergen Statement: Packaged in a gluten-free facility May contains traces of tree nuts and peanuts. May contains a desiccant pack. Do not eat.